This article has been retracted. The retraction was undertaken at the request of Dr. Das, the corresponding author of this paper, as it was found that this paper included duplicated information already published in Current Trends in Biotechnology and Pharmacy (2010), 820–833, by the same corresponding author, and data that did not correspond to the species studied in this publication. Das co-authored “Expression of a rice chitinase gene enhances antifungal response in transgenic litchi (cv. Bedana)” with A. Rahman, also at T. M. Bhagalpur University. It’s been cited five times, according to Clarivate Analytics’ Web of Science, formerly part of Thomson Reuters. That 2012 paper — and the 2010 paper it duplicated from — were both used to generate another paper published in March 2016. It was retracted only a few months later, in July. The editors regret that this scientific misconduct escaped the evaluation processes of the journal and thank the complainants and pubpeer for bringing it to their notice. The reviewers of the manuscript and the employer of the author have been alerted of the misconduct. The PubPeer commenter alleged that a third paper by Das, “Agrobacterium Mediated Transformation of Vigna mungo (L.) Hepper with Cry1Ac Gene for Insect Resistance,” listed first in the above notice, contains some of the same material duplicated in the PMBP paper. Specifically, the commenter alleged that it also borrows a figure from the third paper listed in the above notice. 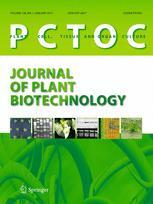 The paper does not meet the standards of “American Journal of Plant Sciences”. This article has been retracted to straighten the academic record. The journal is published by Scientific Research Publishing, which was on the now-defunct list of “potential, possible, or probable” predatory publishers compiled by Jeffrey Beall. We’ve reached out to Das, as well as the editors of PCTOC and PMBP. “American Journal of Plant Sciences” was removed from DOAJ in 26 Jun 2015, for the following reason: Suspected editorial misconduct by publisher.